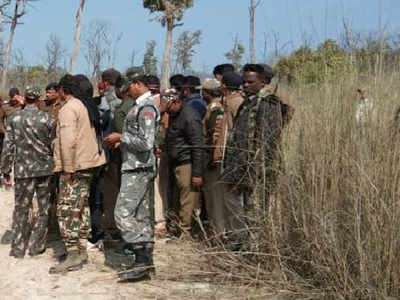 Bihar:Two home guards were hacked to death by suspected poachers in Valmiki Nagar Tiger Reserve sanctuary area close to the Indo-Nepal border in Bihar’s West Champaran district, an official said on Sunday.District Forest Officer, West Champaran, Gaurav Ojha said Arjun Yadav and Hira Lal Kushwaha were attacked in Narangiya Don forest area in the early hours of Sunday by about a dozen people.The two home guards were part of a patrol party which had caught hold of a poacher and was taking him along, but was ambushed by his associates en route, Ojha said. Yadav and Kushwaha were attacked with sharp-edged weapons while the other home guards ran for their safety. The attackers escaped upon securing the release of their associate, he said, adding a search was on for the killers.